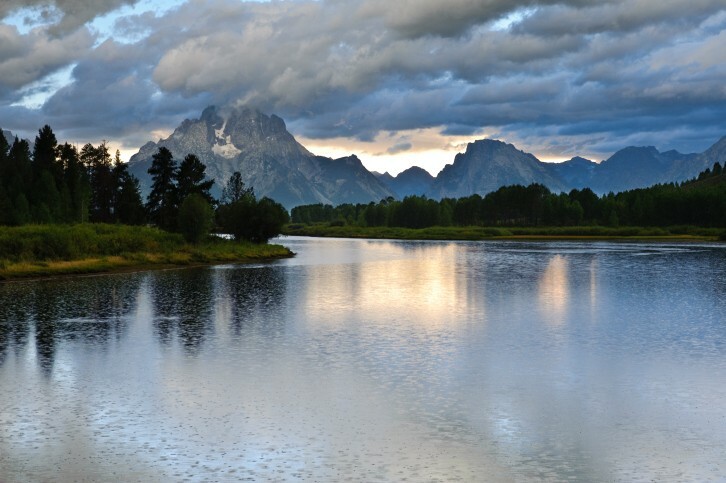 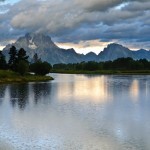 Find your Jackson Hole fishing paradise here. 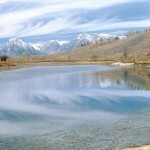 The ranch has direct access to several miles of private frontage on the Snake River, one of the West’s top trout fishing streams. 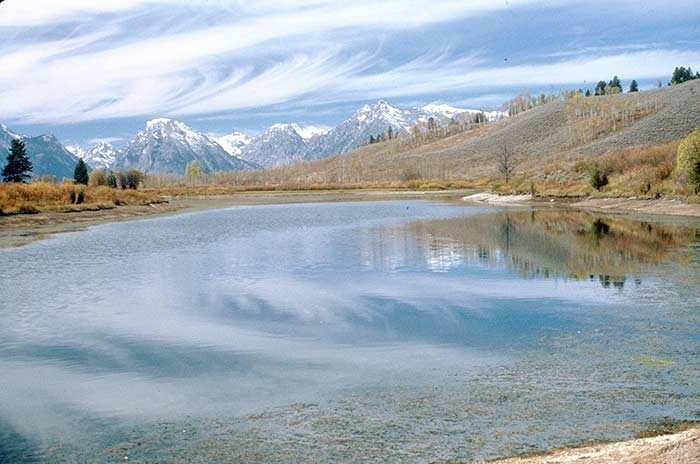 The Gros Ventre and Teton Rivers, plus many other streams and mountain lakes, known for the quality of fish caught, are also nearby. 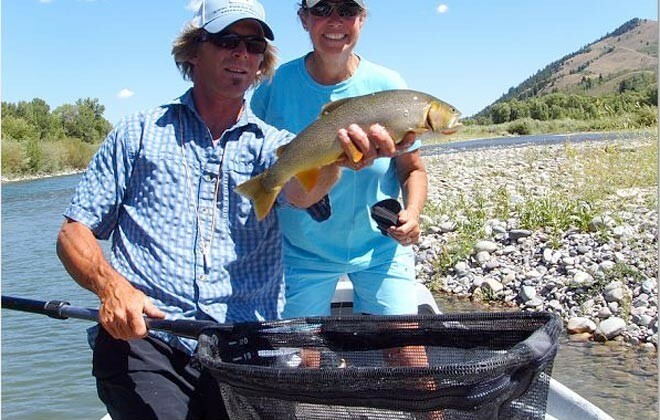 Our highly qualified, licensed Jackson Hole fishing guides are available for fishing trips and can give the novice fisherman instruction at the Ranch’s stocked fishing pond. 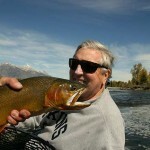 We ask our guests to release any fish that they do not wish to eat. 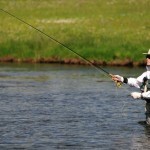 Our cooks are happy to prepare your catch for breakfast, just the way you like it. 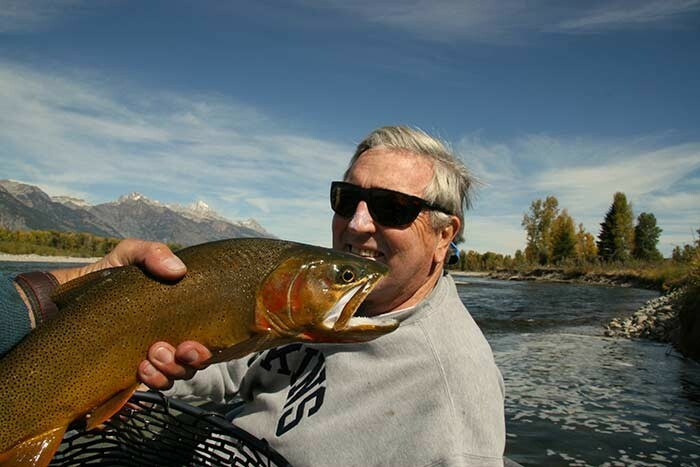 Experience the finest in Jackson Hole fishing as a guest of our dude ranch. 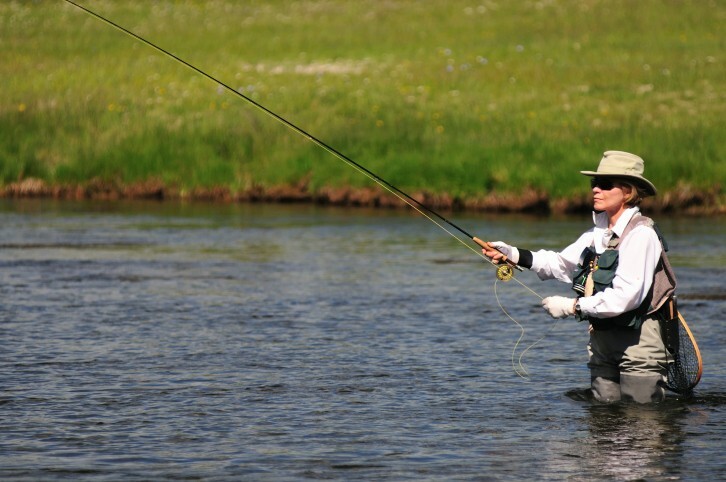 "...one of the West's top trout fishing streams."